Daryl Johnson (Worcester Park, United Kingdom) on 29 July 2010 in Documentary & Street and Portfolio. 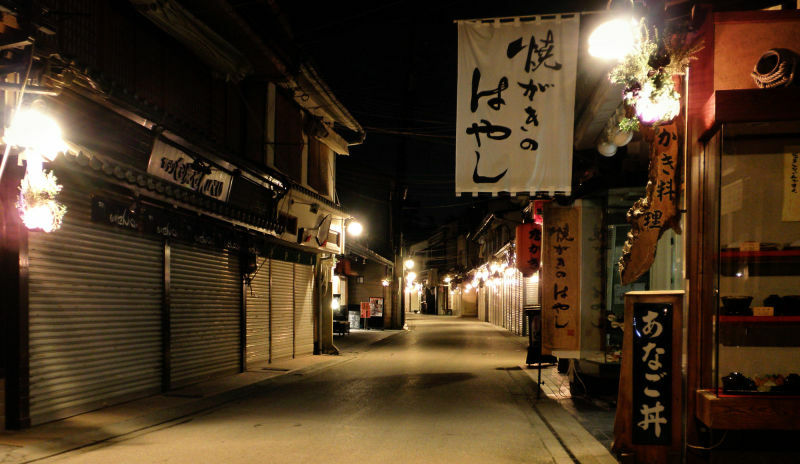 All quiet on the main street of Miyajima, at night after the tourists have left. I really like how alive with the light this street is, but not a soul around. @Jose Luis Bernal: Thanks Jose! Superb framing, Darly. I loved the serene calmness in this shot. I enjoy your night light & tones a lot here, Daryl. When the steel shutters go down, that's it. Cool shot, Daryl. Great ambiance with no people in the street. I don't remember of hotels there? I love the cadrage of this empty street!! Super compo , low light and tones here .